On Monday, a report commissioned by Environment and Climate Change Canada called Canada’s Changing Climate Report said that, on average, Canada is warming at twice the rate of the rest of the world. Northern Canada is warming at more than three times the global average. Precipitation is expected to increase across the country though summer rainfall may decrease. Oceans around the country have warmed, becoming more acidic. The warming climate will make extreme hot temperatures more frequent and more intense. But readers had some lingering questions. Why did they only use data from 1948? It might seem strange that the report only referenced data from 1948, since we know that cities have data that go further back. It’s not some way of manipulating the data, but rather it is the time at which national records were kept on a consistent basis. Is Canada changing the Arctic? Saxe, whose office was shut down by the Ontario government on Monday, said that there are two things to consider when considering what is causing the rapidly melting ice. An increase of carbon dioxide may be the biggest problem, she says, but it’s the short-term climate forces that need attention. Saxe says that some solutions would be including filters on vehicles that use diesel and changing out wood stoves. How did the report acquire the data? The report gathered data from existing peer-reviewed studies. It also used model projections that may have not been peer-reviewed. However, all chapters of the report itself were peer-reviewed. The Arctic ice is melting. Does that mean Antarctic ice is growing? The Arctic and Antarctic are two different beasts. While the Arctic exists as mostly sea ice, the Antarctic is a landmass that includes sea ice as well as glaciers. The ocean processes that drive them are different as well, and Antarctica has glaciers, an ice sheet and sea ice in the mix. The signal is loud and clear in the Arctic: sea ice is not only melting, but it’s thinning, which in turn makes it more susceptible to further melt. In Antarctica, the signal isn’t so clear. 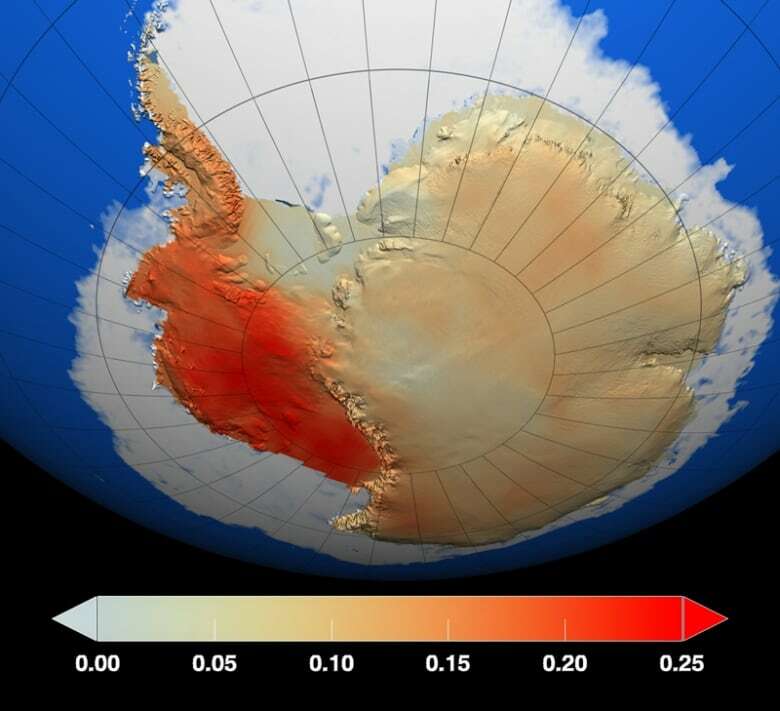 The East Antarctic Ice Sheet — which sits atop the Antarctic landmass — is fairly stable. And while West Antarctica is colder, the warming is much higher in the region, which in turn is causing warmer ocean water to thin the ice. A new study published in January suggested that Antarctic ice is melting six times faster than it did in the 1980s. So while the Arctic is seeing the most dramatic effect of climate change, the Antarctic is also seeing its own effects, though at a somewhat slower pace. And that’s good news since if the entire Antarctic ice sheet melted, it would raise sea level by 57 metres. Saxe notes that when you look at the climate data available for Toronto, which goes back to 1841, it shows the city has warmed to almost three times the global average. This is data that was already available. As well, it was already understood that humans are the main drivers of climate change, though there are natural forces at work. However, the natural forces cannot account for the rapid change we are observing. While people may want a return to normal, Saxe said, that’s not going to happen.